Focus Ecology was formed in 2010 and has the expertise to provide sure-fire ecological solutions to a wide range of projects. The company ethos forges the highest standards of professional scientific practice with a ‘best value’ approach for our clients. Our core area of expertise is in the production of specialist ecological reports and advice to support planning applications. However, our flexible approach, range of skills and broad project experience allows us to adapt to your individual requirements. 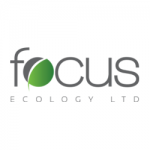 Focus Ecology is situated in Worcestershire, providing a convenient and central UK location. The joint founders of the company, Fern Fellowes-Day and Graham Davison are both Masters-qualified Ecologists. We have a wide range of practical experience from major infrastructure contracts to smaller projects for private individuals across the UK.